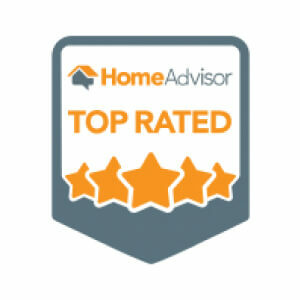 We want to provide our customers with an entire experience, not just a remodel. We don’t just want to change the way their space looks, we also want to change the way it feels. At AM Kitchen & Bath, we want customers to have a remodeling experience that they can look back on fondly. At AM Kitchen & Bath, we provide customers with more than just a home remodel. Our team will build a relationship with them and create an experience of transformation for the place they spend the most time—their home. We complete every transformation on time and on budget while providing our customers with a space that boasts supreme functionality and luxury living. 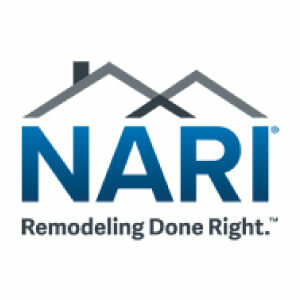 Our goal is to achieve complete satisfaction with attention to detail and unmatched customer support for home remodeling projects both big and small..
Our goal is to achieve complete satisfaction with attention to detail and unmatched customer support for home remodeling projects both big and small. 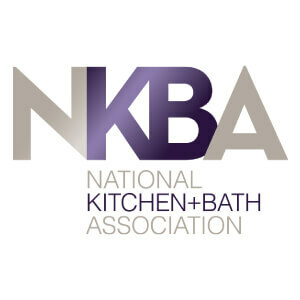 AM Kitchen & Bath was established in January 2008 by Adam and Meg Ludwig. Together, our founders built a company that stands on integrity, honesty and hard work. 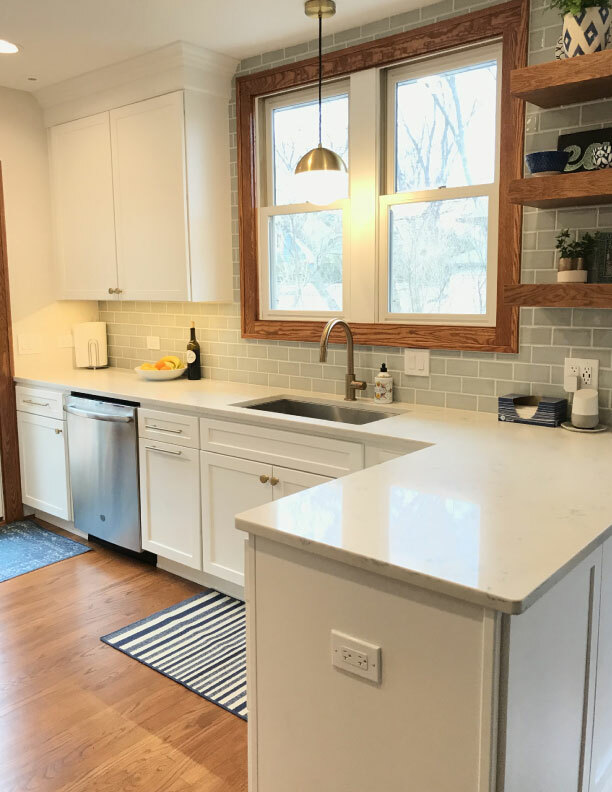 AM Kitchen & Bath has become a thriving full service remodeling company in the Chicagoland area. We take pride in our excellent craftsmanship and our commitment to customer support. Founder Adam grew up in the trades, working alongside his father who has over three decades of construction experience. As a teenager, he developed a passion for craftsmanship and even helped build his family home in Wheaton. Adam began his residential construction career right out of high school. He started off as a carpenter and worked his way up to project manager and other leadership roles in residential construction. He spent the next decade building homes and delivering residential remodeling solutions. After the housing market decline of 2007, Adam found himself looking for work. He used the opportunity to pursue his dream of owning a residential remodeling company. AM Kitchen & Bath is focused on transforming your house into your dream home. Over the years, our team has concentrated on remodeling our customers’ most utilized spaces. 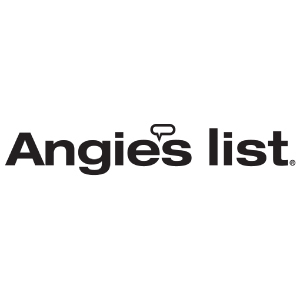 We do more than just kitchen and bath remodels. We have completed projects ranging from simple cosmetic updates to full room additions and complete custom home building. After the Recession left Adam looking for new employment opportunities, we knew it was time to take a risk and start something new. We’ve brought on experienced tradesmen and an office staff to help support our vision. We opened our Showroom in 2017 as creative space that helps customers gather inspiration and allows remodeling ideas to come together. We are proud to celebrate 10 years of remodels! Our team is working just as hard as we did a decade ago. At AM Kitchen & Bath, we do our best to take care of each customer like family. We have a small, qualified team of hard workers. Each member of our staff and crew are dedicated to our customers. Our crewmembers have been with us for years, so you can rely on them to answer any questions that you may have along the way. Everyone who steps foot on the jobsite knows your project inside and out.